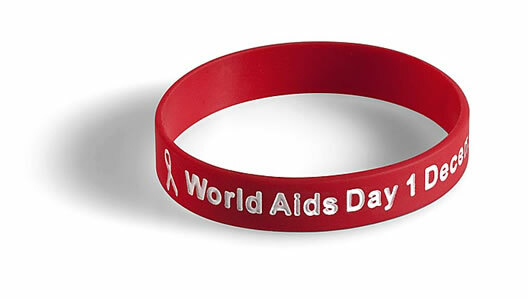 Description: A silicone wristband is a very popular item used to promote causes like Aids Day. We supply these red Aids Day Silicone Wristbands with an embossed and white printed Aids Day message. The Topsy Foundation will receive R0.25 from the sale of each of these wristbands.